Jake Meecham has been dropped down a rabbit hole. As a new production assistant at Shoplandia, he quickly realizes America’s third largest home shopping channel is much more than smiling show hosts, quantity counters and sparkling jewelry. Everyone visiting the live studio—reality TV stars, beloved country musicians, drunk baseball icons and A-Team actors—is striving to cash in on their own version of the American Dream. Meanwhile, a motivational guru inspires manager Warren to plot out a life-changing career strategy and fledgling show host Renee searches deep to find her “sales gene.” Marketing VP Johnny tracks down a troubled long lost show host while back in the studio, producers Dottie and Dylan struggle to keep the live show from imploding. A humorous novel told through stories, Shoplandia peels back the curtain to reveal the familial bonds that often form in our working lives. Available on AMAZON. 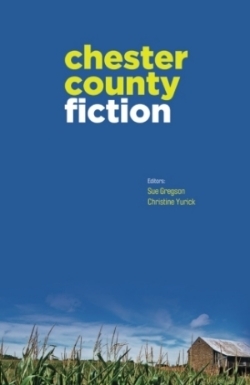 These sixteen stories from authors who live and work in Chester County, Pennsylvania, explore our common history and shared bonds. The collection includes stories about people in transition, struggling to find their place and peace in the community they live in. They are tales about love and loss, violence and heartbreak. The collection features stories by: Virginia Beards, Jim Breslin, Robb Cadigan, Wayne Anthony Conaway, Peter Cunniffe, Michael Dolan, Ronald D. Giles, Terry Heyman, Joan Hill, Nicole Valentine, Jacob Asher Michael, Eli Silberman and Christine Yurick. In this debut collection of stories, Jim Breslin explores the soul of suburbia; the disenfranchised and the desperate. The characters in these twenty-one stories struggle to mend relationships and find redemption. A man is tempted by memories when his drunk ex-wife pays a surprise visit. A couple wrestles with their fruitless attempts to have children. An eccentric homeowner issues a series of comical concerns to his lawn care company. A husband tests the reciprocity of his wife’s love only to find himself in the throes of a dangerous free fall. 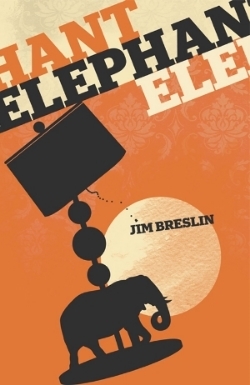 Sometimes funny, often sad, the unsettling stories in Elephant portray the suburban landscape of loneliness and hope. Jim Breslin's writing has appeared in the Molotov Cocktail, Turk's Head Review, Metazen, Think Journal, The World According to Twitter, Main Line Today, The Daily Local and numerous websites. Since West Chester Story Slam launched in 2010, over five hundred stories have been told live on stage in front of rowdy audiences at local bars. Stories are told with no notes and no props, just a storyteller standing at a mic, revealing themselves through their personal tales. Selected stories include: Eli Silberman’s tale of a television commercial shoot gone horribly wrong. Luke Stromberg documents his life in crime and Luanne Sims tells about her worst day as an adult diaper salesperson. Read about Terry Heyman’s short-lived fling with an Oscar-winning actor, Kyle Hudson’s brush with legendary movie icon Bill Murray, and Carole Mallory’s late night search for the grave of Pablo Picasso. Learn about Queen Elizabeth’s corgis, raising pigs, and high level miscommunication at the world’s largest home shopping network. These forty stories are sometimes funny, other times poignant. Whether you’ve attended the West Chester Story Slam live, listened to the podcast, or are coming across the stories for the first time, we hope you’ll enjoy this anthology of remarkable personal tales. The following stories appear in the Short Story Collection Elephant, but can be ordered individually for Kindle through Amazon.